more exciting and fun. There is absolutely no better way to make you fitter. month and can enjoy this fun fitness challenge. 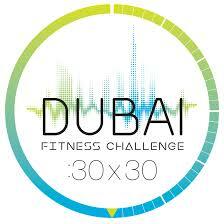 Dubai 30 x 30 challenge is really beneficial to the bachelors. It influences their life in many ways. anxiety. Here are some more ways Dubai 30 x 30 challenge influence the life of bachelors. days challenge, they can become much healthier in a very fun way. makes his life full of pressure. Thus by taking the Dubai challenge, he can make his life stress free. and body and ultimately making their life better and stress-free. they can completely overcome their addiction. take flats for rent in Dubai. Go visit Dubai with your friends or family to experience it yourself. surely develop a good habit of regular exercising and can ultimately enrich your lifestyle. accommodation and bed spaces in Dubai.